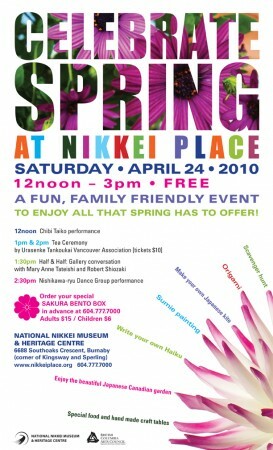 Nikkei Centre will be holding a fun, family friendly spring event, featuring performances (Japanese taiko and dance), arts & crafts (origami, sumie ink painting, paper cherry blossoms, kites), and special food and hand made crafts tables. 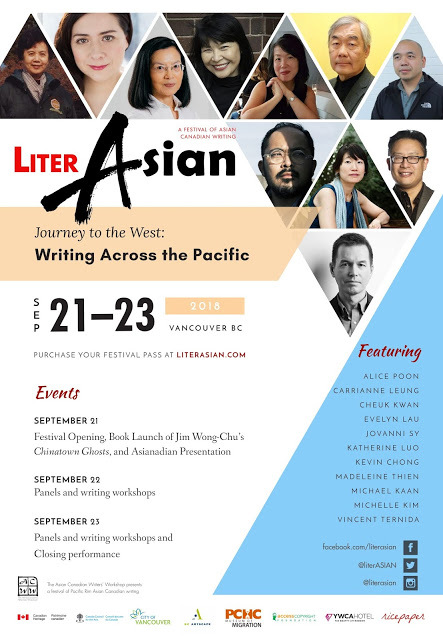 And yes, Ricepaper will be one of those tables. In addition, a new exhibition Half & Half will be having its opening day at the Japanese Canadian National Museum. At 1pm, there will be an opening reception with artists Mary Anne Tateishi (painting) and Robert Shiozaki (pottery and mixed media) will be on hand to discuss the collection and its connection with their roots and ancestry.